QI Macros is long on Six Sigma capabilities, with some Lean tools and techniques built in as well... Chances are many Green Belts and some Black Belts will be able to do everything they need with QI Macros and Excel. 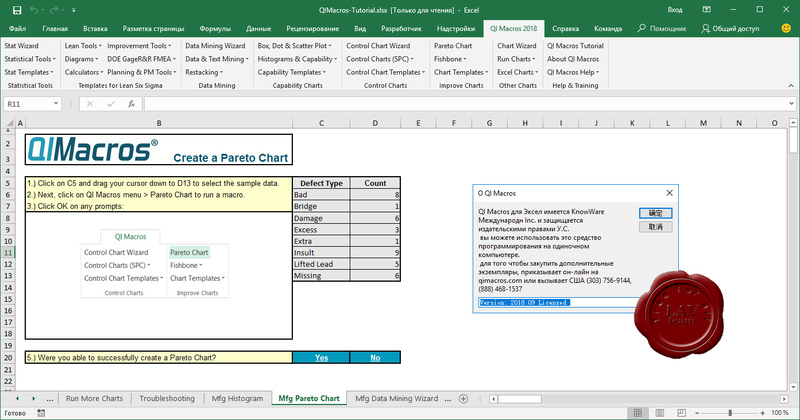 The familiar Excel interface reduces the learning curve and makes it a viable option for anyone who needs to create control charts, conduct statistical analysis or perform data manipulations.